Syrians face serious financial burdens. Even those who leave the camps and try to make a living in the cities are faced with debts. Their average debt levels exceed average household incomes across all assessed districts. About 16% of children work. * 12% of households across the Kurdish Region of Iraq reported a lack of food in the seven days prior to a survey by United Nations in the summer of 2015. Local economy has been increasingly challenged because of the budgetary crisis affecting all of Iraq. The prolonged war in both Syria and Iraq has impacted the attempts to support the displaced people and the efforts to help them restart their lives. Every year some refugees leave the country, but an equal number enters, so Syrians are steadily at 250,000 (around 30, 000 of them moving to some place else every year, but another 30,000 entering to flee war zones). 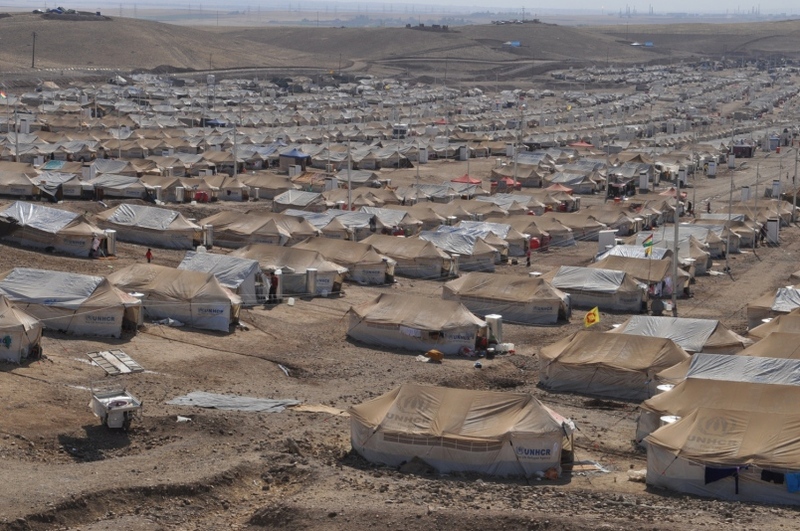 Syrian refugees and Iraqis that fled war zones are estimated to constitute about 25% of the population of Kurdistan. The massive influx of internally displaced Iraqis and Syrian refugees place additional pressure on basic infrastructure, services and employment capability for all vulnerable populations in the region ( hosting communities were already vulnerable and poor). The situation is expected to further challenge living conditions in already saturated communities and camps. Among the challenges the priority is on food, water and health, but one can not neglect the fact that war arise from poverty and competition for survival. So it is not exactly a “luxury” to address urgently also the situations that might lead to social conflict –a strife that may arise from the competition for jobs and resources. Child labour and very early marriages are (negatively) used as coping mechanisms. Those mechanisms often end up in domestic violence against the wives and raise concerns also over child abuse. They certainly do not provide for the safe and hopeful starting of a new life if there is no job to support neither the husband nor the wife and the offsprings. Many of the refugees, adults and children, have already experienced or at least witnessed murders, rapes and tortures and extreme violence. Now that they are supposed to have escaped the war, they face another war: the one for psychological and physical survival. This is not going to be won if the countries that host refugees are not supported in cash from wealthier nations.